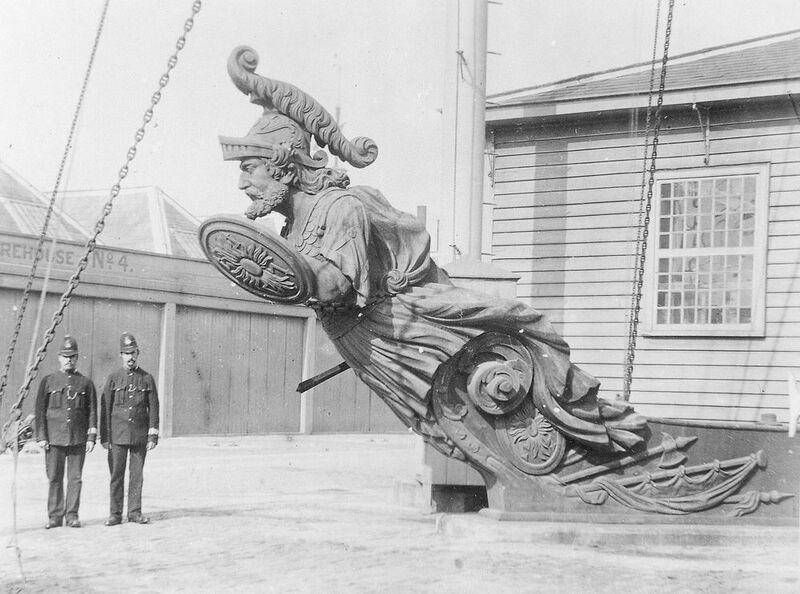 The figurehead of armoured frigate HMS Warrior (launched 1860) pictured in Portsmouth Dockyard in the early twentieth century. After HMS Warrior lost its first figurehead in 1868 when it accidentally collided with HMS Royal Oak, a replacement was carved by James Hellyer to the same design and was displayed in Portsmouth Dockyard. This Figurehead of HMS Warrior Art Print is created using state of the art, industry leading Digital printers. The result - a stunning reproduction at an affordable price.